Every precious moment is captured by high definition 1080p resolution in 60 frames per second for you to enjoy high-speed and ultra-low latency video streaming.The uncompressed video transferred from different HDMI devices (as consoles, camera…) could be real-time edited while maintaining the best possible quality and primitive color saturation. Get rid of unnatural, delay, cumbersome! Approved high definition resolution, different from others! 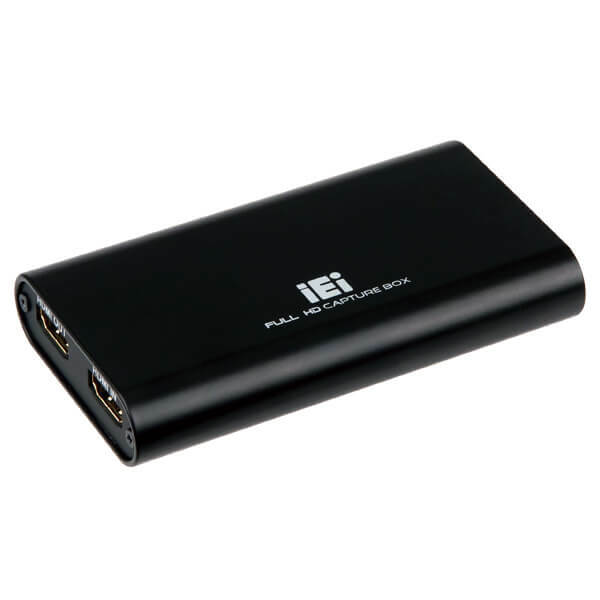 IEI HDB-301R is compatible with various live streaming software with DirectShow architecture, such as OBS, XSplit, PotPlayer, Wirecast, VLC media player, Skype, etc. You can use the software tools you are familiar with to play video games, watch HDMI while editing, recording, and streaming. IEI HDB-301R housing is made by ruggedized aluminum with excellent hot dissipation! One of the youtubers has done an 8-hour continuous steaming and enjoyed ultra-low latency without stop! PC: Desktop PC or notebook, HDMI video output. Game consoles: PS4, XBox one, Nintendo switch. Photo equipment: SLR Camera or Camera, as SONY. * Please be noted: It can be set as HDMI 1080P output on the device. Set-top Box: Apple TV, MOD, paid TV channels STB, satellite TV. Player: DVD player, Blu-ray player or audio and video player, as Miracast wireless transmitter. Step1: Connect HDMI devices output to the HDMI-in of the HDB-301R. 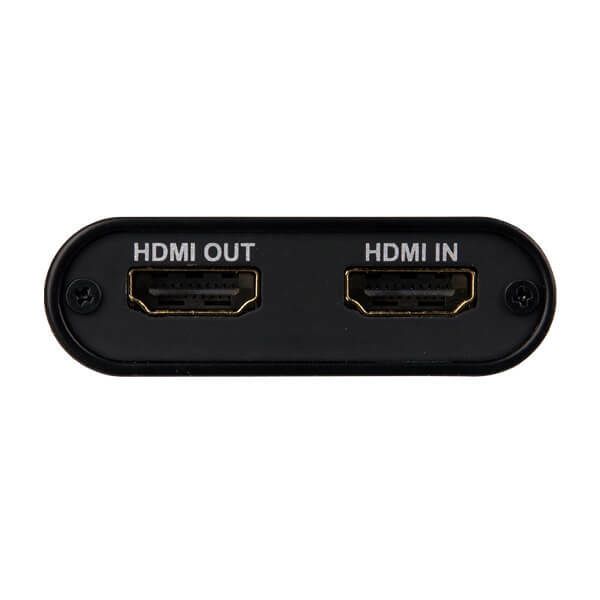 Step2: Connect HDMI display device to the HDMI-out of the HDB-301R. Step3: Connect the HDB-301R to PC/ notebook via USB 3.0 cable. Step1: Connect PC/notebook to the HDMI-in of the HDB-301R. Step3: Connect the HDB-301R to PC/notebook via USB 3.0 cable. Step4: Configure the connected HDMI monitor as an extended desktop and run the live stream software on the PC/notebook. Then, you will be able to use the HDB-301R to capture the video on the extended desktop. Do not put the video screen you want to capture on the same display with the third-party live streaming software; otherwise, the video captured by the third-party live streaming software will be displayed in endless loop. Through 4 x HDB-301R, it's easy to switch HDMI camera scenarios! 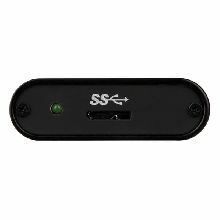 When you transfer video from HDB-301R to PC with the resolution of 1920*1080 and 60 frames per seconds, the transferred bandwidth would occupy one USB 3.0 port. If you need more HDB-301R to input different HDMI sources, please be noted the USB 3.0 bandwidth must be independent, not shared. It is suggested to use a motherboard with Intel 100 series chipset (ps.1) and Skylake i7 CPU, or Intel 200 series chipset (ps.2) with Kaby Lake i7 CPU. If the performance of the USB 3.0 on the motherboard with 100/200 series chipset is not good or no enough, please additionally install USB 3.1 PCIe add-on cards (one add-on cad connects to one HDB-301R). OS: Windows 10 64-bit recommended. 100 series chipsets (PCH): Z170, Q170, H170, Q150, and B150; DMI 3.0 channel. 200 series chipsets (PCH): Z20, H270, B250..etc. ; DMI 3.0 channel. DMI 3.0 channel- the bandwidth is increased to 8GB/s, which get rid of shared PCI-E bandwidth limitation of external devices. The above performance is for reference only; the tested result will vary according to actual configuration. i7-7700, 16GB RAM, GTX-1050 (4GB) graphics card, two USB 3.1 PCIe add-on cards, two on-board USB 3.0 ports. QNAP DJ2 Live enables private live streaming through QNAP NAS with scalable live streaming to public cloud services (including Facebook, YouTube, and platforms that support RTMP endpoints). And IEI HDB-301R USB 3.0 Uncompressed Full HD Capture Box allows users to capture high-resolution footage from HDMI devices for live streaming through QNAP NAS- DJ2 Live. It also provides secure storage for videos and broadcasts for later playback, turning an one-time stream into material for multiple utilizations. Note: The XSplit and OBS hardware requirements (while broadcasting) are based on below FAQ link recommended. Recording HDCP-protected content is prohibited by law. Unauthorized screenshots or recording videos may infringe the rights of the copyright owner and violate the law. 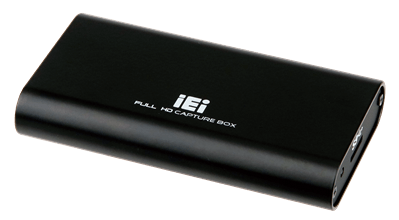 IEI provides Software Development Kit (SDK) for users to implement IEI capture box’s functions into their own software or web application to get audio/video signals with reliable, high quality and various HDMI sources from IEI HDB-301R.